Welcome to the visionary 3D art of Marc Bühren. 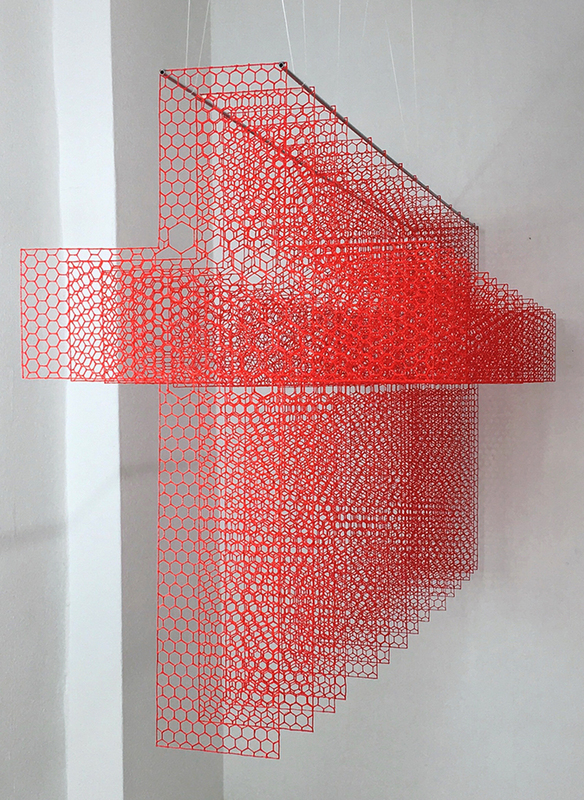 Hailing from Germany, Marc is a 3Doodler pen master that pushes the boundaries of what is possible with 3D pen artwork. 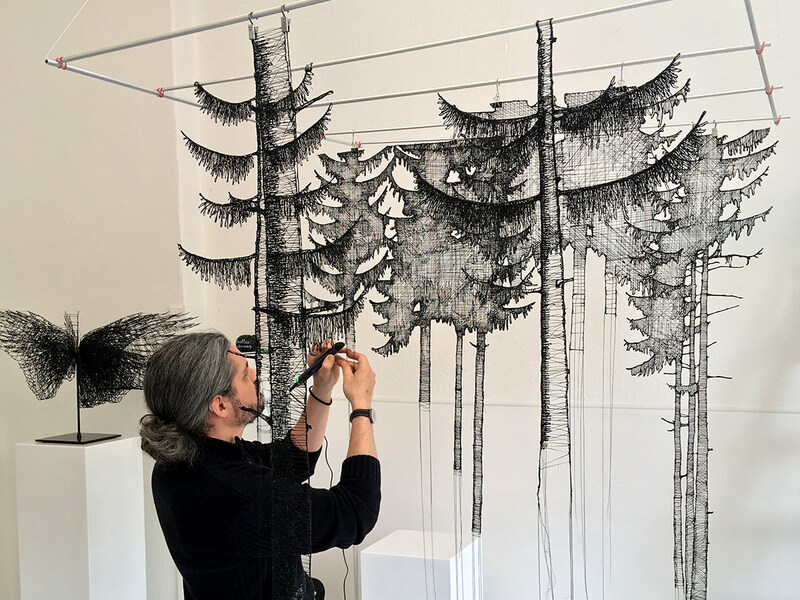 His 3-dimensional installations, comprising tessellating geometric patterns and awe-inspiring imagery, are made by hand with the 3Doodler Create+. From hanging trees that transport the viewer into abstract forests, to arrays of ocean fish and bird wings that open up the dimensions of nature, Marc’s installation art is truly magnificent to behold. We had a chance to connect with Marc to hear more about the exhibition. "I worked on the artwork until the day the exhibition was set up. It was six months of hard work, but it was absolutely worth it!" The 44-year old contemporary artist, Marc Bühren, has been drawing and painting all of his life. Since he found the charcoal of his father as a three year old he has always been drawing. In elementary school his aspiration of having a career as a painter was born. As a teenager, he completed a training in classical watercolor painting, and after graduation he studied communication design at the University of Wuppertal. Since 2008 he works as a full time artist at his studio in Dortmund. He teaches painting and drawing in his studio, at schools and at other institutions. 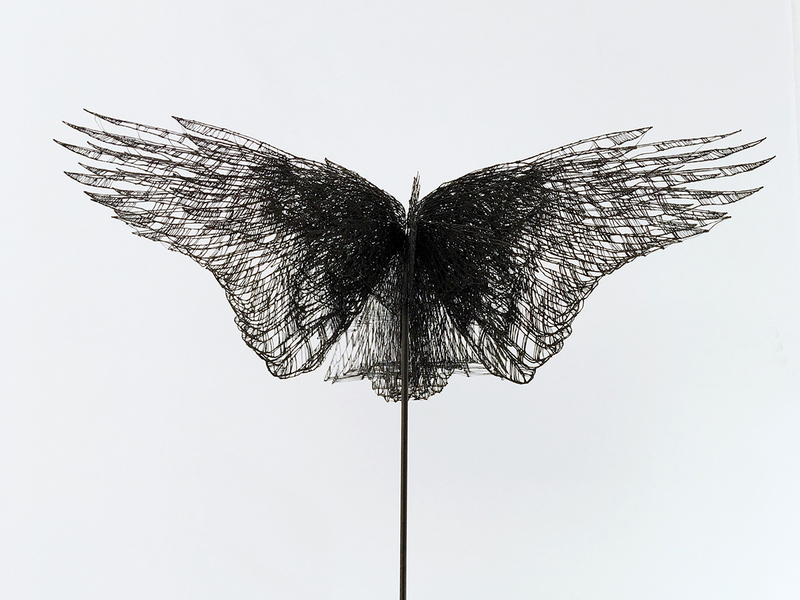 In April 2017 he started working with 3Doodler pens. Marc’s extraordinary masterpieces are truly amazing to witness. Does his work inspire you? 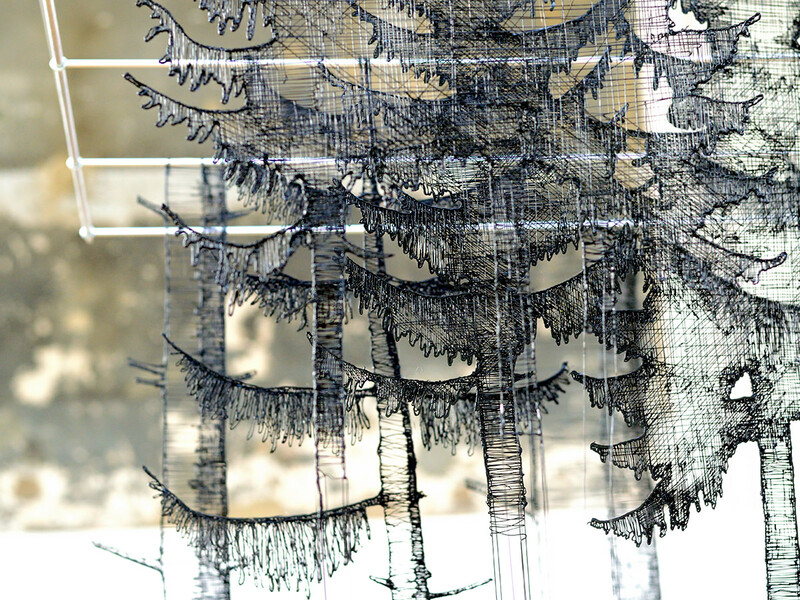 Share your 3Doodler creations on social media to spread the inspiration. For more artist spotlights and inspiration, be sure to check out our Instagram.